Set up your PVR's--the videos for Triple J's Hottest 100 are playing tonight (Friday 27 Feb) and tomorrow night on Rage. The first 50 count down tonight from 12:10 AM and the second 50 count down from 11:00 PM, Saturday night. Rage doesn't normally have videos for all 100, so you can find out exactly what will be playing at the Rage Playlist page. 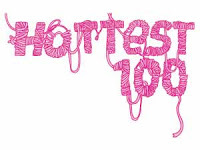 And don't miss out on Rage from 10:00 AM to 11:00 AM on Saturday monring when they play a collection of videos from past Hottest 100's that ranked between #100 and #90 (I've often found the bottom 10 songs more enjoyable than the top 10 songs). Blogspot widgets as a file?